In collaboration with Sierra-at-Tahoe, Vapur®, manufacturer of the flexible, reusable Anti-Bottle®, is installing four on-mountain Hydration Stations for the 16/17 season. The Hydration Stations further Vapur’s mission of eco-responsibility by minimizing the use of plastic water bottles, while providing clean, accessible water to skiers and riders. In addition to the new refill stations, Vapur Anti-Bottles will be sold in on-mountain retail and food and beverage stations. Vapur is no stranger to environmental partnerships through its Hydration Stations. Earlier this year, Vapur was awarded the coveted Public Lands Alliance Corporate Stewardship Award for its work on the Bryce Canyon National Park Hydration Program. Through its various Hydration Programs, including Bryce Canyon, Vapur has saved an estimated 2,815,000 single-use plastic bottles from being disposed of in landfills. Vapur Hydration Stations are springing up across the country in national parks and colleges, as well as travel and hospitality destinations, but Vapur hopes this is just the beginning. 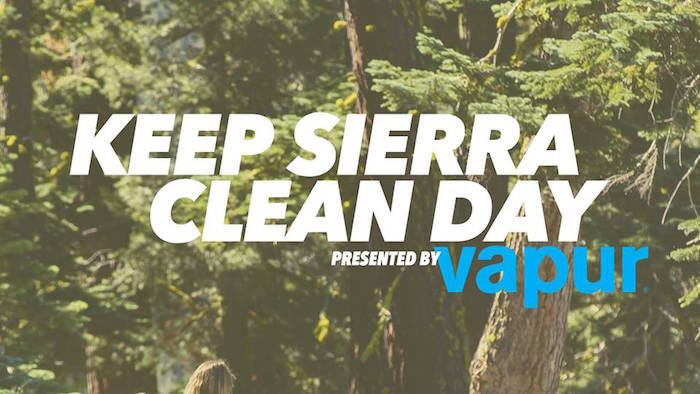 The Sierra-Vapur Hydration Program will launch on October 9th, the day of Sierra-at-Tahoe’s annual Keep Sierra Clean Day, which encourages members of the community to help clean up the mountain before the season begins. For more information on the Vapur Hydration Program, visit vapur.us/hydration-program. Founded in 2009, California-based Vapur, Inc. is on a mission to make hydration incomparably portable. As the leading designer, marketer and distributor of reusable, handheld, collapsible hydration products, Vapur’s Anti-Bottles® have been adopted by athletes, celebrities, activists and families. The ultra-durable Anti-Bottle is proudly manufactured in the USA, BPA-free, freezable and dishwasher-safe. Privately held, with products available worldwide, Vapur contributes a portion of all sales to water-related and environmental causes.